I Was Scammed by a Celebrity Influencer. Which one you might ask? 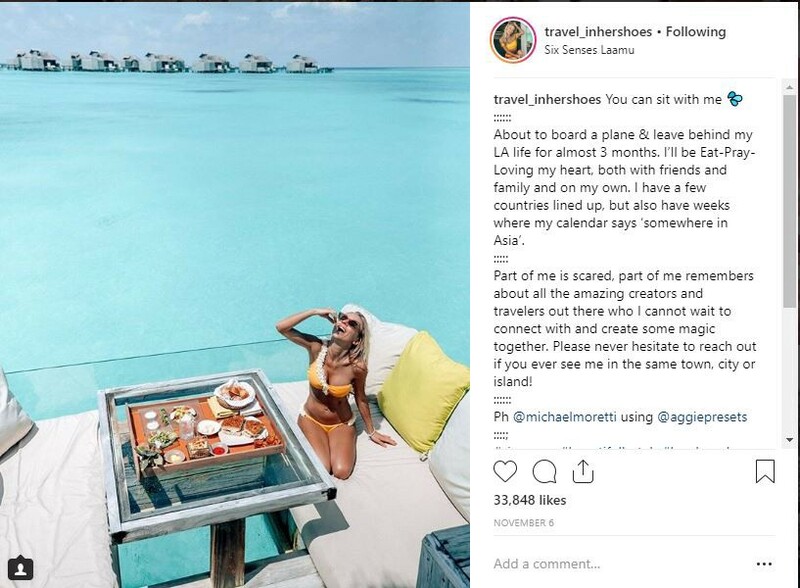 Aggie of Travel in Her Shoes — currently an Instagram Superstar sitting at 860k followers. 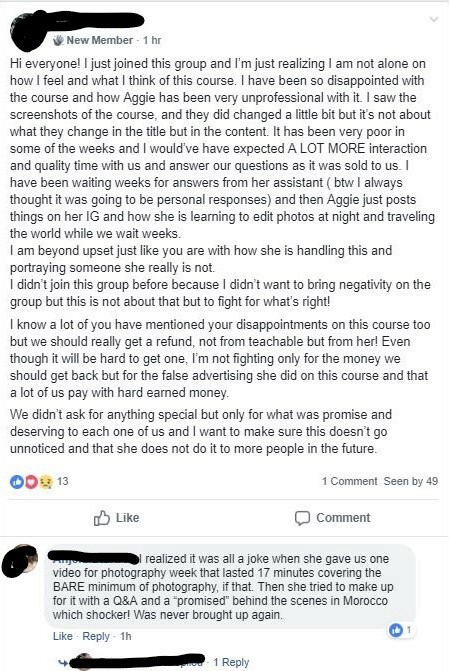 Aggie convinced me plus 500 wannabe influencers to take her course, and then disappeared because of “lack of wifi”. I paid $500 for a 12-week course taught by one of my favorite Instagram Stars: Aggie Lal of @Travel_inhershoes. Why? Well I was damn curious. I have been following Aggie since early 2016. I watched her hit the benchmarks of followers: 200k, 400k, 500k. Hell, I even witnessed her hit 890k and then weirdly drop to 840k in ten minutes… Watched her travel the world through her stories. Knew that there was also a man behind the camera. And knew I would no way create the content she did because I don’t have the money to travel that much, don’t own the equipment she does, and I don’t have my own professional Instagram Husband. BUT! Even with that reality… I have been playing at this Instagram game for a while. I know the tricks, I know the deep dark secrets. I’ve done the pods, I’ve played the Follow/Unfollow game, and I know all about the growth methods most of these 500k+ follower girls do. I also know that this particular Instagram Star did a lot of those same techniques. I saw her name on the lists of Giveaways. I saw her in the same pod circles as many of my friends, I knew she was doing the same things we all were. But was she going to be honest about it? Was she going to tell me which giveaways to do? Which filters to use? Tell us why she dropped 50k followers in one day? Which hotels to reach out to? How honest was this girl about to be? So yes. I invested $500 into my curiosity. Through an online learning platform called Teachable, this course could be accessed anywhere with WiFi. There were no live webinars, just hopping on when it was convenient for you. Aggie organized the class into 12, week-long modules. Each module went live on Monday, included six 5 to 11-minute videos, and had specific topics — everything from writing an Instagram bio to editing videos, to pitching companies. Alongside the Teachable course, there was a private Instagram Account with photos posted to go along with each shared video to allow for open discussion about the video topics. 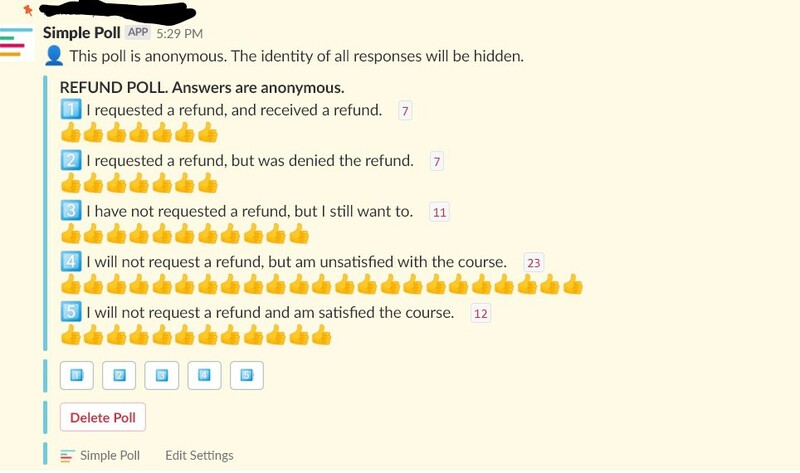 The course description also included a note about being unsatisfied with the course: anyone who was unhappy could drop the course for a FULL refund within the first week of the course. …until the end of the week one. Week 1 kicked off with her intro, some book recommendations, and a challenge. The challenge was to get someone else to sign up for the course. 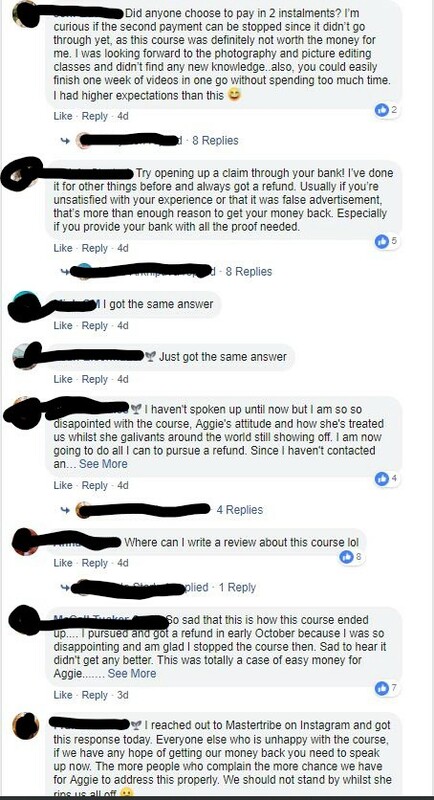 She would be providing affiliate links for every single student and wanted us to influence someone else to take the class. The confusion spread rapidly. 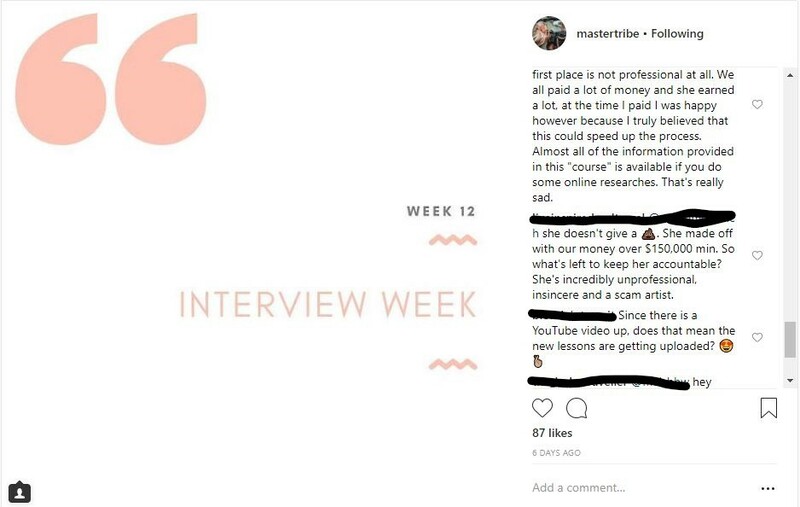 The Instagram Course straight up seemed like a pyramid scheme. How could we ask our own followers to purchase a $500 Instagram Course that we had barely started ourselves? But honestly, I’m sitting here 13 weeks after I watched the challenge video and I still haven’t received an Affiliate Link. On top of the challenge, the “reasonably small” group was 500 members large. 500 eager students that wanted to become Instagram stars. 500 students that didn’t believe they were getting the information or attention that they had paid for. They thought the challenge was a joke and some strange way for Aggie to get more money out of us. Facebook Threads and Slack Channels were filled with an angry mob of women infuriated by what was being taught. Polls went up… for example this one, and mannnn were the happy customers far and few in-between. To top off the angry mob, turns out the First Week Refund was against Teachable’s refund policy. They required a 30-day refund. So Aggie was refusing refunds to a policy that wasn’t accurate. Why would she want to refund? At this point she had received at least $225,000 from the students. How can you part with that? But then… the dust settled. The private Instagram group went from 503 followers to 383. The drama subsided. Complaints sort of came to a halt. The Slack Channel straight died. And the class continued. More videos were posted. We got through Week Six: Photography, a 17-minute video. She promised this week would include a Behind the Scenes photography class from her own trip to Morocco. A photography class from Morocco?! Amazing!!! She went to Morocco, but no video about it was ever posted. During this time, we learned of major changes in Aggie’s personal life. Turns out her marriage was coming to an end and she was off to have an “Eat Pray Love” experience. “Somewhere in Asia” was what she said in an Instagram post. And then immediately after she took off for her adventure, videos stopped getting posted. A video featuring Q&A’s from some of the biggest influencers around?! Sure, we saw the influencers in Aggie’s stories, but those videos were never uploaded. Why? Because she doesn’t have WiFi! Then how did she upload a new YouTube video?! And post daily on Instgram? Final week’s videos? Hasn’t happened! The Final bonus Implementation week? Nada. Aggie disappeared. The above screenshot is literally from today as I’m writing this. So no, I am unsure of the final news. 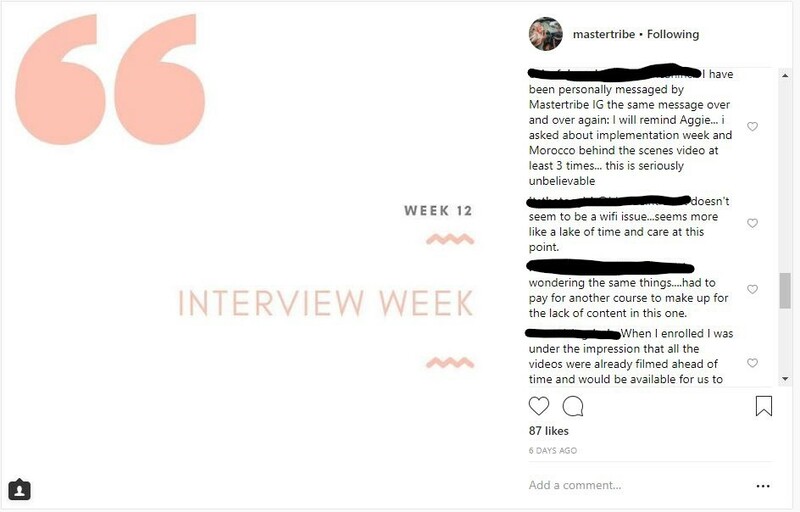 Except the Master Tribe Instagram account posted the below image six days ago, and there has been silence since. Did I think this 12-week class would make me Instagram Famous? Did I think I would be quitting my 9-to-5 in 2018 to pursue a life on the road in 2019? Did I learn something in the class? I actually really enjoyed a Q&A session via Instagram Stories with Aggie’s ex-husband about photography. He truly is a talented photographer and did an incredible job answering 20+ questions from students. Sadly, this was from Michael. NOT the promised one-on-one interactions with Aggie. Based on a 5-minute prerecorded class video, I rewrote my Instagram bio and truly believe it matches what I’m trying to do with my brand. 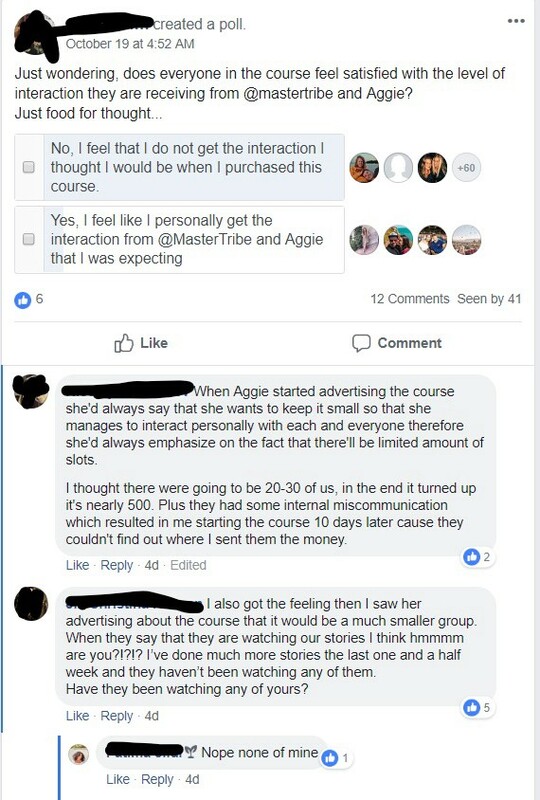 Was Aggie’s Master Tribe Course worth it? Do I think Aggie messed up big time? Yes. I mean… she blocked people on Instagram that didn’t like her class. Yes. Let me repeat. She blocked users that asked for refunds from seeing @travel_inhershoes posts. Who does that? And on top of that, she was insanely rude when she got criticism. You can’t put yourself out there like that and not take feedback well. And believe me, I understand she was going through personal issues. But teachers go through similar situations and they are still expected to show up to class. She straight disappeared. Could Aggie have salvaged this? Yes. She could have been more real with us and talked with her students. Instead of facing us, she actively continues to ignore questions addressed to her via email, Instagram DMs and comments on her photos. Nothing. Do I think Aggie cares? She got her money. 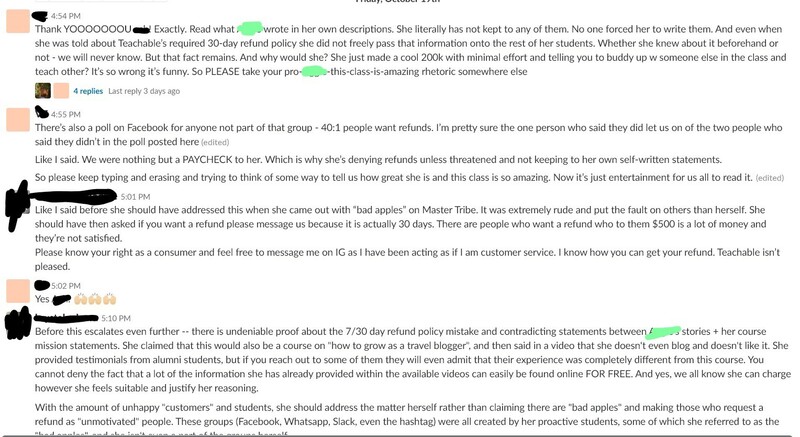 In the email below, you can see that Teachable paid her out and cannot give refunds. 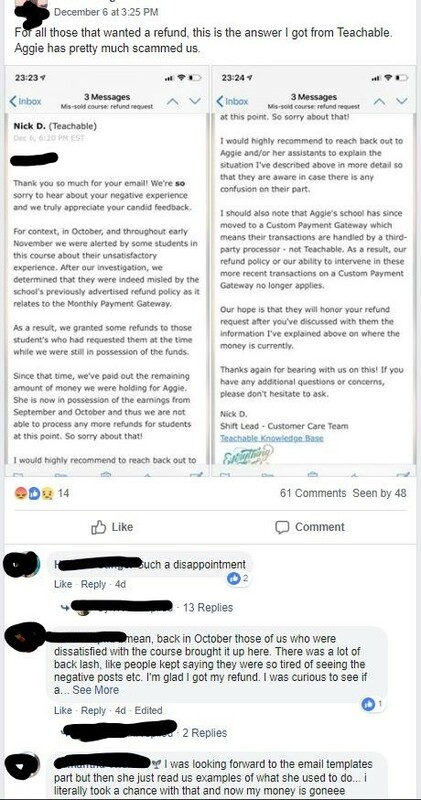 They also cannot accept payment from new students because Aggie was smart enough to move the payment method through a third-party platform, so she never has to issue a refund again. On top of that, I have been watching the @travel_inhershoes stories daily — she is launching her clothing and swimsuit line. She does not care about the hundreds of students that gave her $500. She doesn’t care that we are left without promised content and she scammed us. Let’s be real. Aggie is in a pool having a floating breakfast poppin’ champagne and cheers-ing at our stupidity. 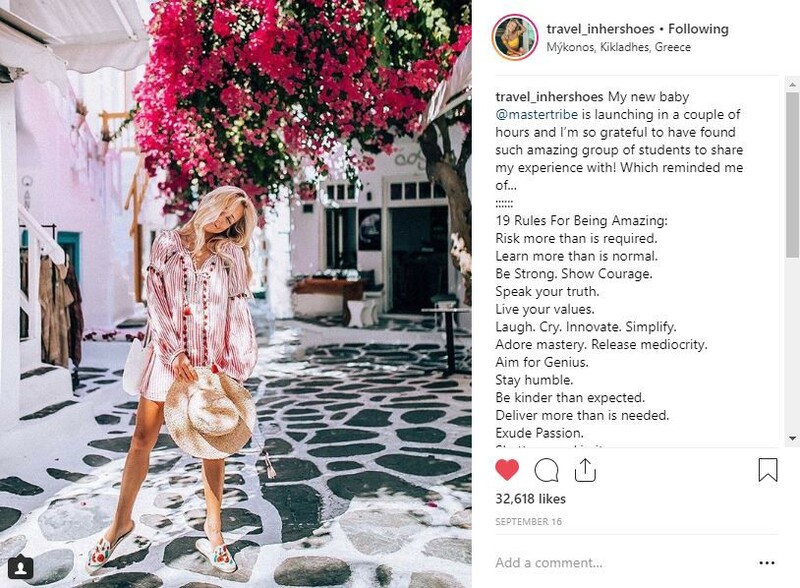 Should You take an Instagram Influencer Course? 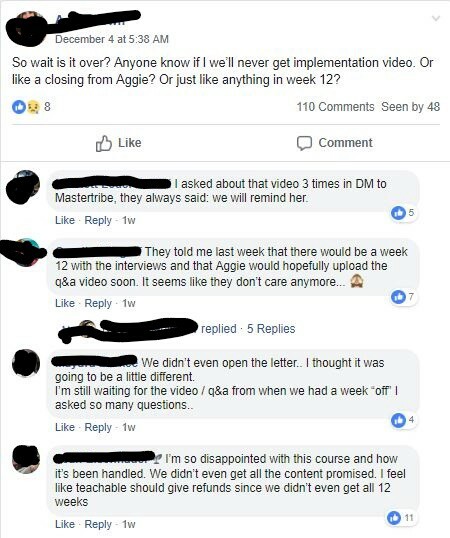 So the big question for you… You know in the last two months of being in this class I’ve seen so many of Aggie’s Insta-bffs announce their classes. I am unsure of their costs, but let’s be real. What are they going to teach? Most of the big content creators out there have been dropping insane amounts of money to get where they are. Their clothes, their trips, the photography, it costs money. They have the best cameras and equipment. And their success didn’t happen overnight. Many of these classes are inspiring, but I didn’t pay $500 to be inspired. In Aggie’s course description she stated “it’s about running a business that’s location independent so you can have the lifestyle you want” and to “learn first hand from an actual travel blogger who knows the ins and outs of the industry”. If you’re looking for inspiration, maybe these type of classes are right for you. But, if you’re looking for the secret to blowing up on Instagram, I’ll tell you right now, you’re not going to find it from the Master Tribe course. I woke up to a number of DMs via Instagram. Was I not discrete enough? Am I that obvious? I am happy to say I was not the only one who felt this way. The support from other students in the course is not only refreshing, it makes calling out our Instructor easier. 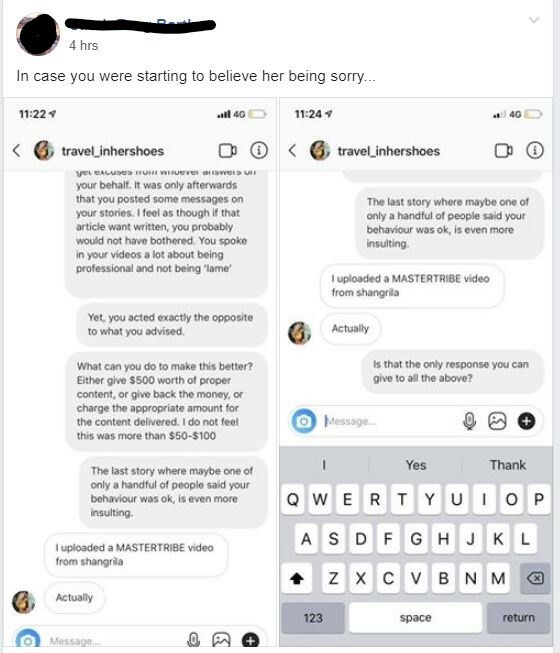 Aggie started today off with five stories on the @mastertribe account, letting us know she is “heartbroken to hear some of you feel taken advantage of.” Thanks, Aggie. Again, thank you for the continued shares and support. And no, sadly I did not pay with a credit card. So I guess I can say I learned that lesson through this course, too.